Cara is a Solicitor within our Commercial Property Team. Her areas of expertise include leasehold and freehold acquisitions and disposals, landlord and tenant issues, residential and commercial development, commercial leases and investment property. Cara studied Law with French at Sussex University in Brighton and spent a year of study at The University of Toulouse Capitole in France. In 2012, she completed the Legal Practice Course at The College of Law in Guildford where she specialised in Advanced Property and achieved a Distinction. Between September 2012 and June 2013, Cara undertook a Paralegal role in a specialist Claimant Personal Injury and Professional Negligence firm in London. She also worked in a Brighton firm within the Residential Conveyancing Department where she was promoted to work under the Partner of the Commercial Property Department. 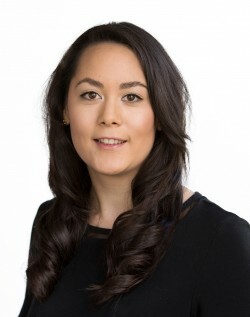 In June 2013, Cara returned to her home town of Norwich where she worked as a Paralegal within the Residential Conveyancing Team of another local firm and after two months was offered a Training Contract where she took seats in Residential and Commercial Property, Litigation and Private Client. Shortly after qualifying as a Solicitor in March 2015, Cara joined the Commercial Property Team at Leathes Prior. In her spare time Cara attends local music events, concerts and festivals. She loves spending time with her cat Evan, being by the sea and exploring the countryside. She is fond of historical buildings and local architecture. In September 2016, Cara was appointed as a Non-Executive Director of a local Social Enterprise named Your Own Place, which exists to prevent youth homelessness by offering mentoring, tenancy and employment support and independent living skills training to young people throughout Norfolk aged 16 – 25, equipping them with the skills, confidence and knowledge to live safely and securely and to keep their homes.